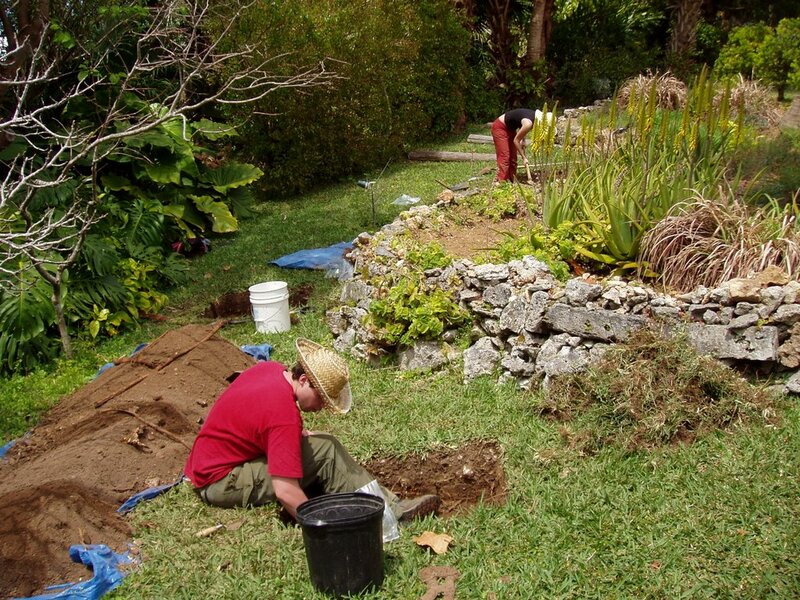 Archaeology in Bermuda was well-represented at the recent World Heritage Site conference in the UK last weekend. The conference was held at the Ironbridge Gorge Museum, and included a paper by Paul Belford on community aspects of the recent work in Bermuda. 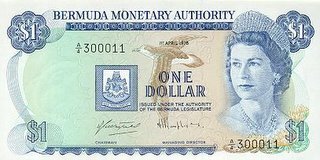 Important contributions to subsequent debate and discussion was also made by Charlotte Andrews of the Bermuda Maritime Museum. Insignia of HMS Bristol, which visited in 1978, 1988, 1990 and 1996. 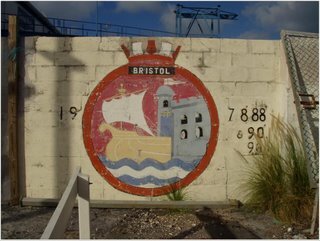 This is one of several ships' insignia left by Royal Naval and other vessels visiting dockyard. They represent an important part of the later twentieth century history of the site. 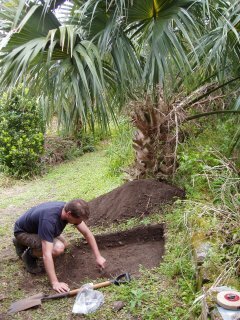 For more of these images visit our contemporary archaeology pages. 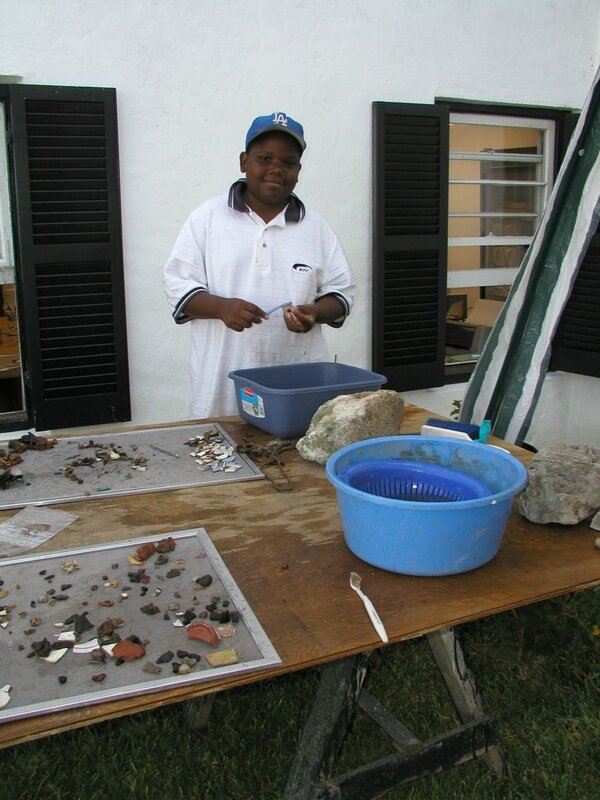 Other aspects of this twentieth century history are perhaps more controversial, but need to be tackled if all elements of Bermudian society are to have a meaningful engagement with the island's history and archaeology. 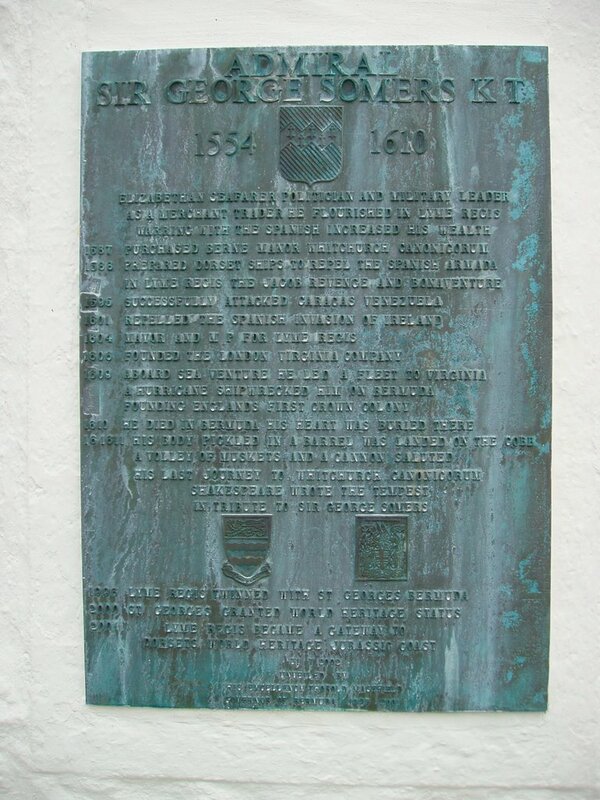 In particular there is concern about the restoration of the former Casemates Prison to its original form as barracks. 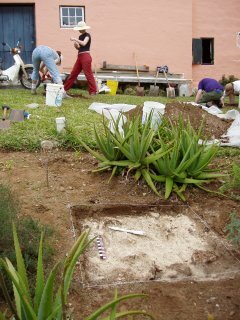 If archaeology is to be truly representative of all sections of the Bermudian community it is important that elements of the prison itself are recorded before this restoration takes place. 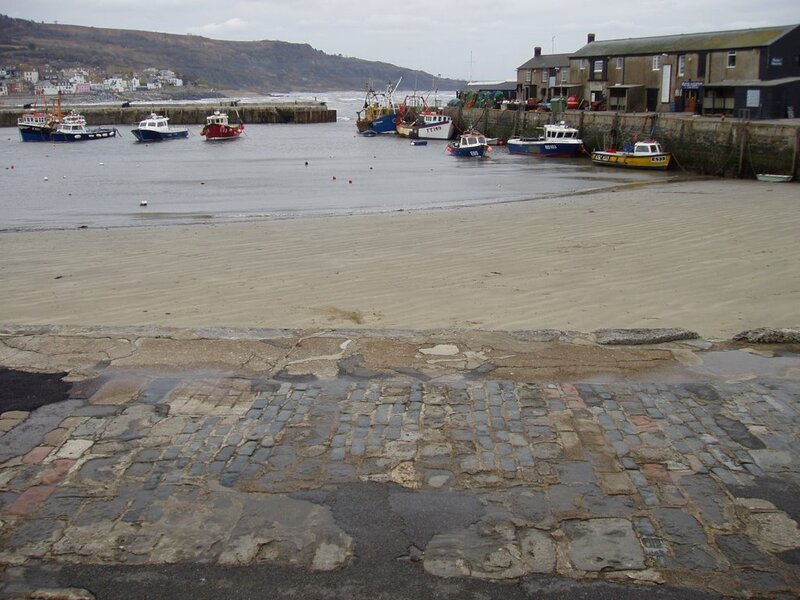 It was here that Erskine Burrows and Larry Tacklyn were hanged in 1977 for murders including that of Sir Richard Sharples. These executions were followed by the most serious episodes of rioting ever seen on the island. 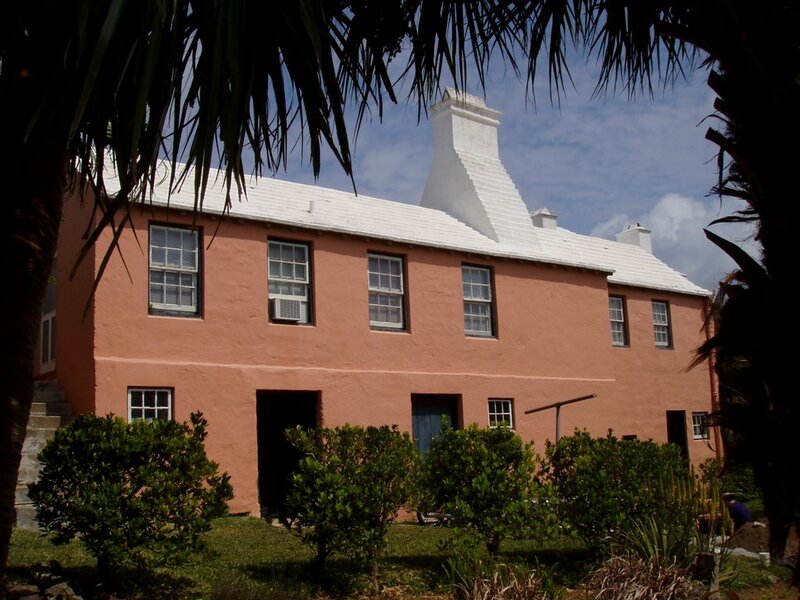 This may not be the happiest episode in Bermudian history, but it is an important part of the story of the island and its people. 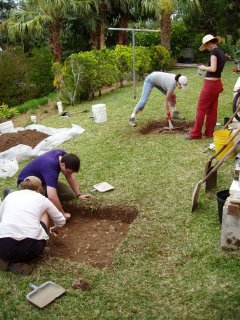 Archaeology surely has a part to play in recording the material evidence, and engaging with different communities who have valid - but often unrepresented - perspectives on the historical narrative. Sir George Somers, the 'discoverer' of Bermuda (at least as far as the English are concerned) was from Dorset. 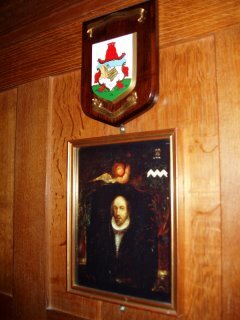 A true Elizabethan adventurer, his exploits seem sadly forgotten in his native county. 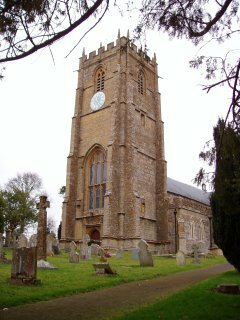 His heart is buried in St. George's (after his death from a 'surfeit of pork'), but the rest of him is to be found in Whitchurch Canonicorum. 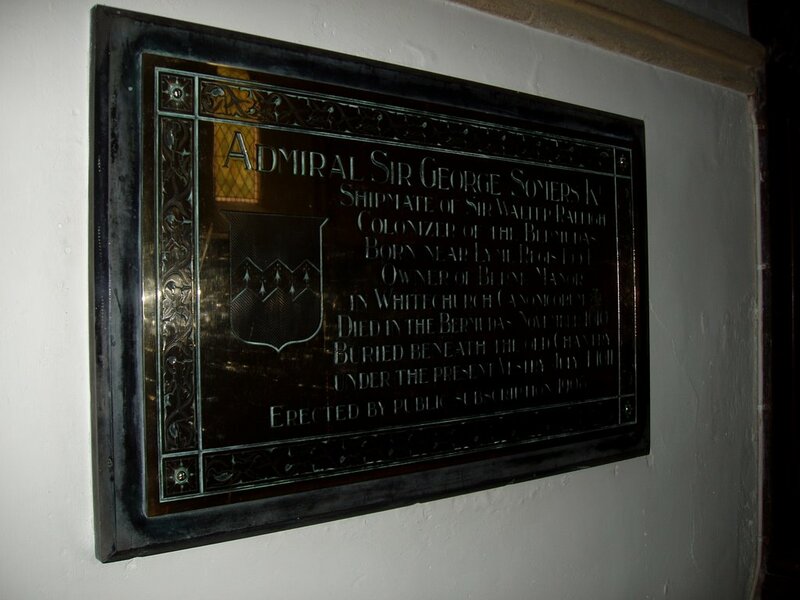 He was born in Lyme Regis, and later became the town's Mayor. 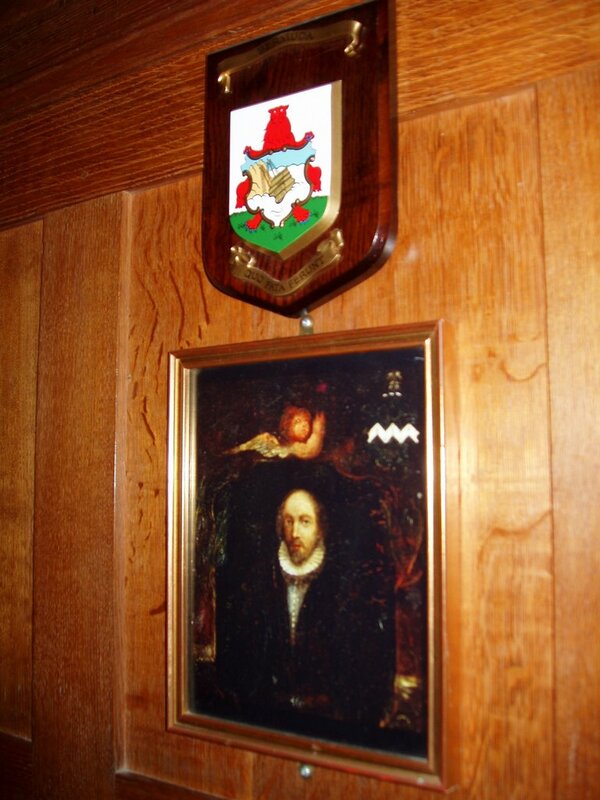 He was one of Sir Walter Raleigh's captains and had a lucrative career attacking Spanish ships - from the spoils of which he was able to buy Berne Manor. 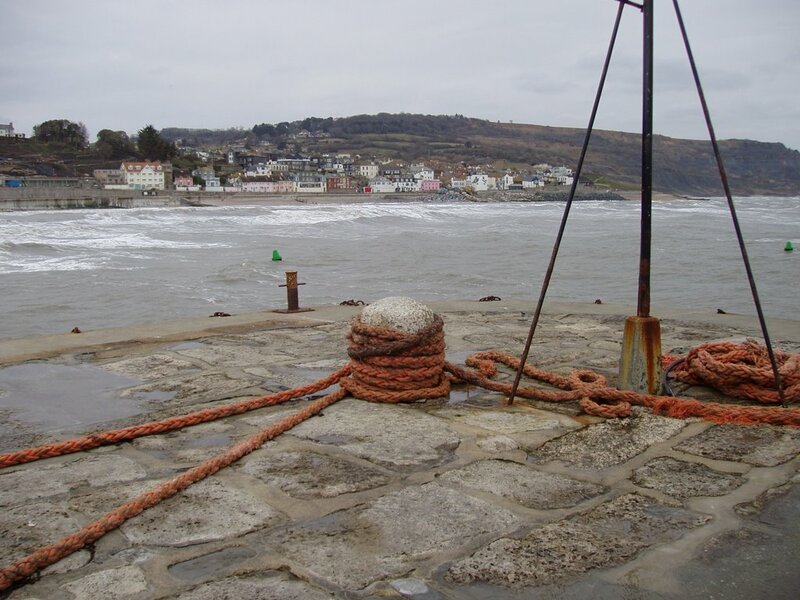 Scroll down to see some photos of Lyme Regis and Whitchurch Canonicorum taken during a recent trip by Paul Belford and Kate Page-Smith. 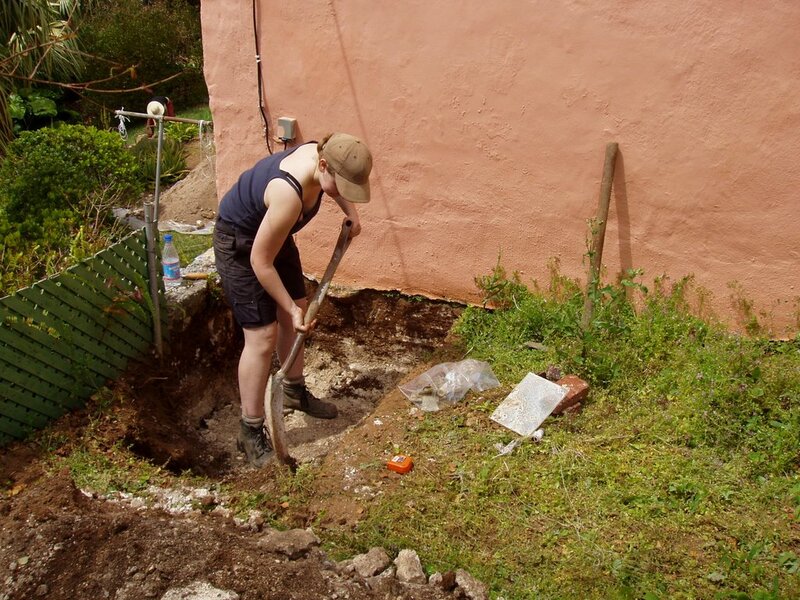 Although all participants have now recieved a copy of the Project Design, it is also available for download on the Ironbridge Gorge Museum website. 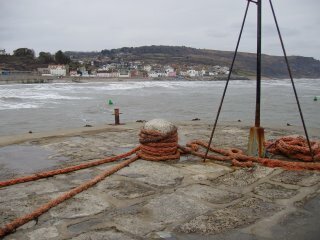 Everyone is now booked in and ready to go, and we are all looking forward to an exciting season now less than a month away. 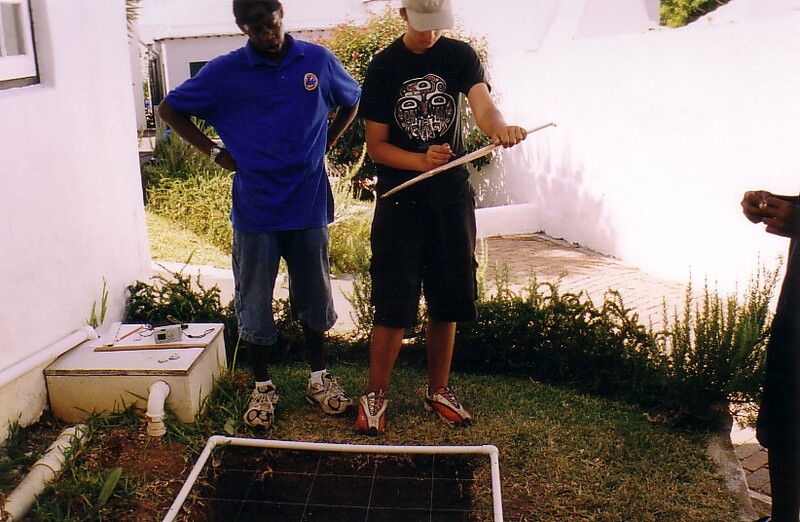 Project participants might be interested to see some pictures from a previous visit to Bermuda. 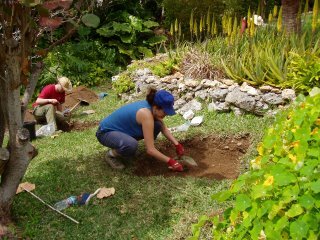 In July 2003 Emma Dwyer and Barry Devon, then MA students at Bristol University, undertook voluntary work for the Bermuda National Trust. We supervised an archaeology summer camp for local school children and produced a pilot survey of standing buildings and potential sites of archaeological interest in the World Heritage Site of St George's. 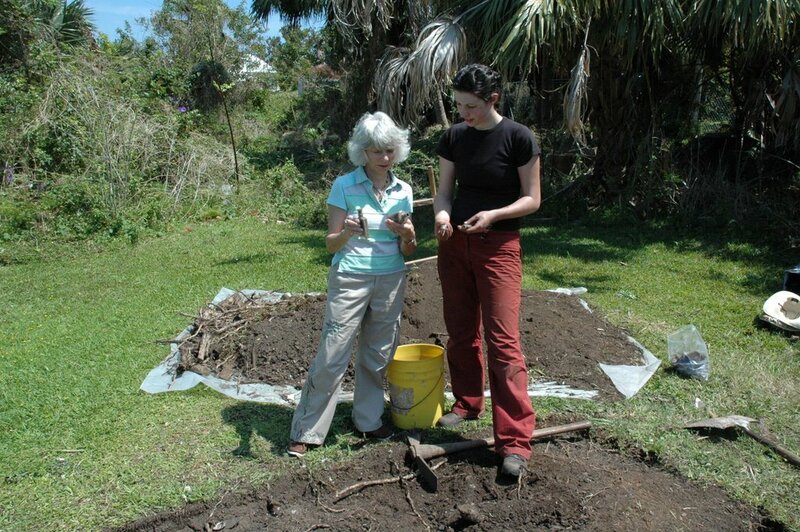 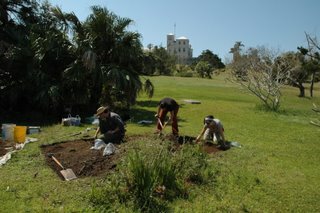 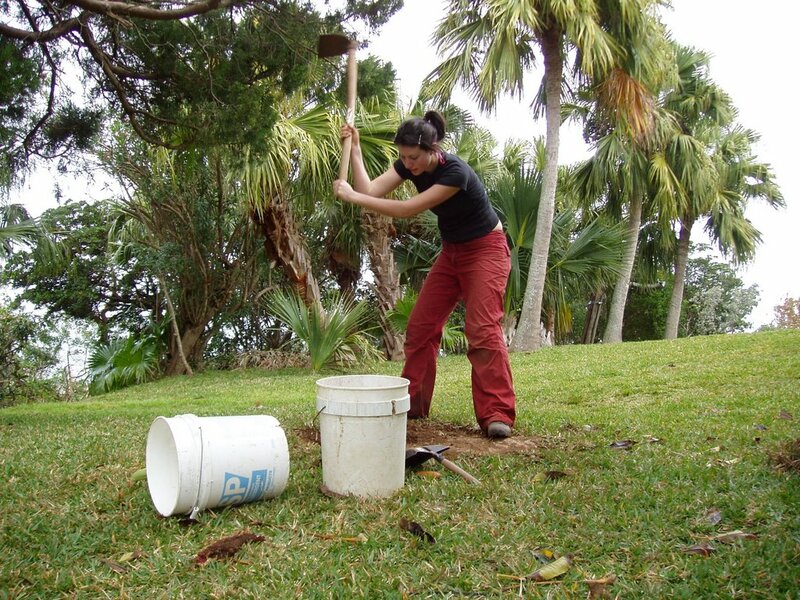 We excavated test pits with the children in the grounds of Reeve Court, a Bermuda National Trust property in St George's. We also produced a database for the Bermuda National Trust, surveying the built archaeological heritage of the town of St George's, and conducting a pilot survey of potential archaeological sites using archive research, map regression and fieldwalking. 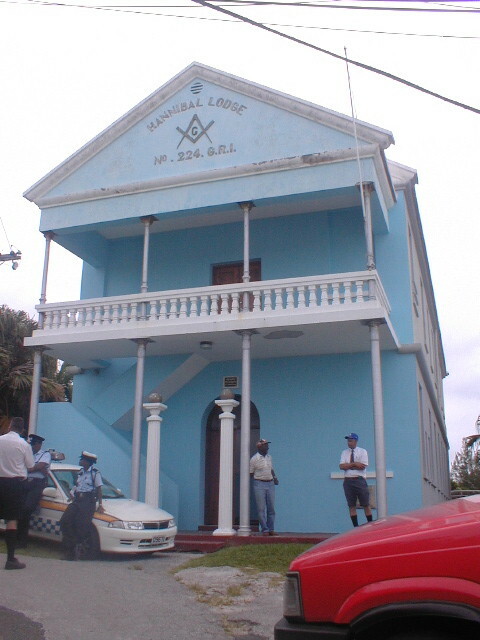 This is the Hannibal Lodge in Old Maid's Lane, a listed building within the St George's World Heritage Site. Our accomodation was in Buckingham, a BNT property in St George's, and on Wednesdays a market would be held in the town for the benefit of the visiting cruiseships. 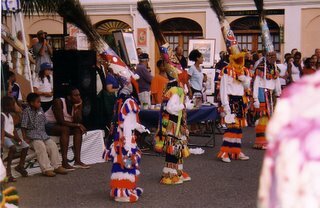 Gombey dancing is unique to Bermuda and has roots in West African tribal music. It incorporates influences from across the Atlantic; the Caribbean, Native Americans and apparently, the British military. Dingy racing is a popular spectator sport; before the construction of road bridges, dingies were used to sail between the islands that make up Bermuda. 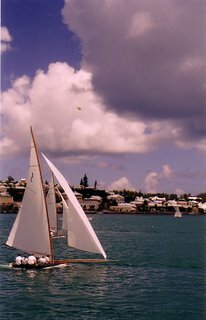 This race took place in St George's harbour. The racing dingies are fitted with out-size sails to increase their speed, so a team of six has cram into the vessel to keep it in the water. It rained once when we were in Bermuda, so I took a photo to prove it! Our accommodation will be at the Bermuda Biological Station for Research (BBSR). 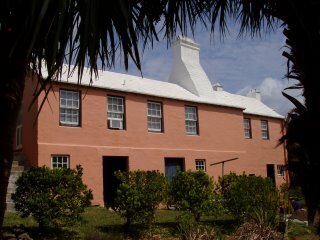 The research station was established in 1903, and has been on its present site since the 1920s. 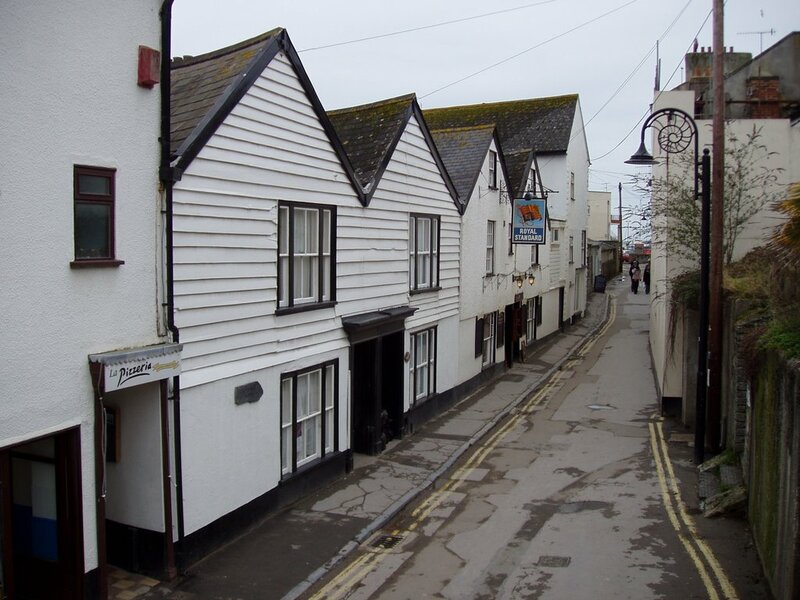 The nucleus of the complex is a magnificent Edwardian former hotel, with extensions including state of the art oceanographic laboratories, teaching rooms and a research library. 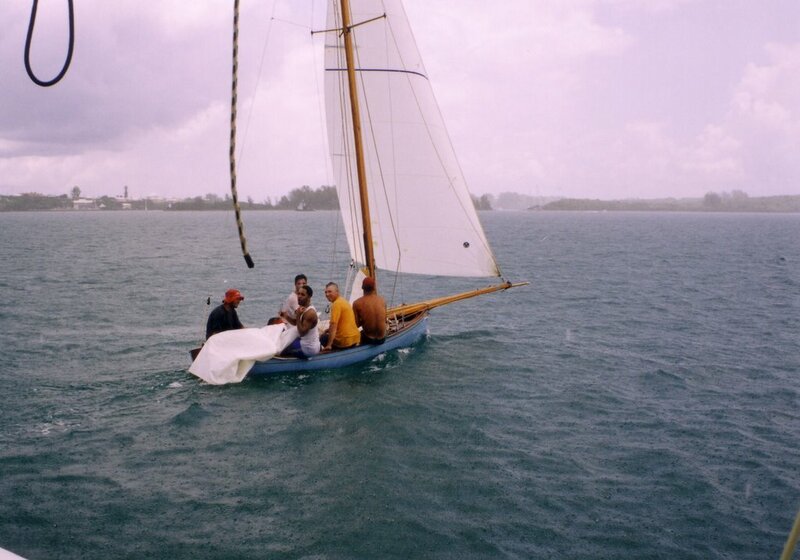 The BBSR also has its own research vessel. 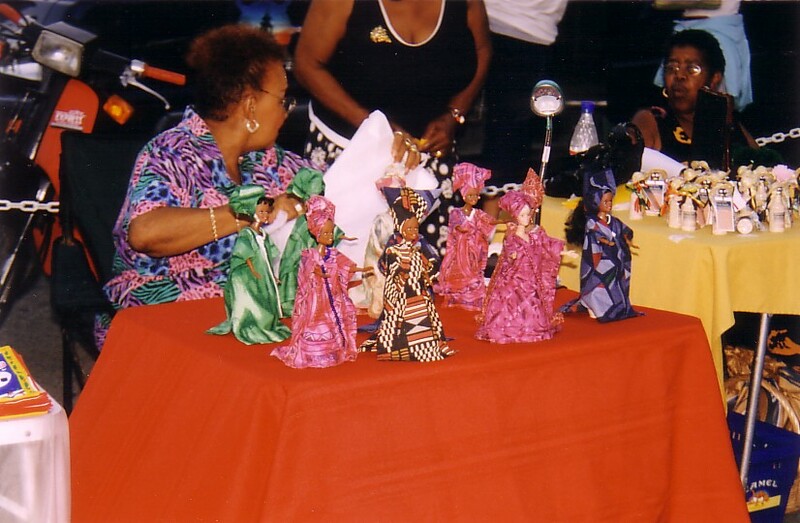 More about the history of the BBSR can be found here. 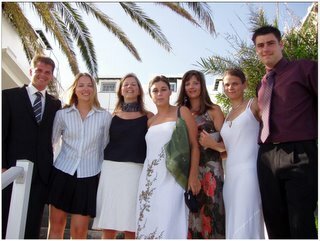 Members of the 2004 field school on the steps in front of the BBSR. Our accomodation will be self-catering, we will have a flat and a dormitory bedroom in the main 'Wright Hall' part of the complex. 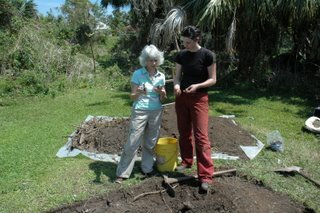 The project will cover the costs of basic food, and we will work out the details of this when we get there. An overall map of the BBSR complex can be found here.